“Saison” is the French word for season. This style of farmhouse ale was created before mechanical refrigeration was used in brewing. Saisons were intended to provide refreshment to thirsty Belgian farm workers on hot days, thus the farmhouse connection. Because the style emerged as a seasonal beer, often brewed in the winter and made without temperature controls, the original characteristics of the style were all over the board. In the funky world of sours wild ales, and farmhouse ales, you never quite know what you’ll get once Brettanomyces, Lactobacillus, and all their microscopic friends finish their wort buffet. Peaks and Pints knows what you’ll get when you drink Atwood Ales saisons — deliciousness, which is what you’ll receive when you join us at 6 p.m. Thursday, Aug. 16 for our Atwood Ales Saison Spectacular. 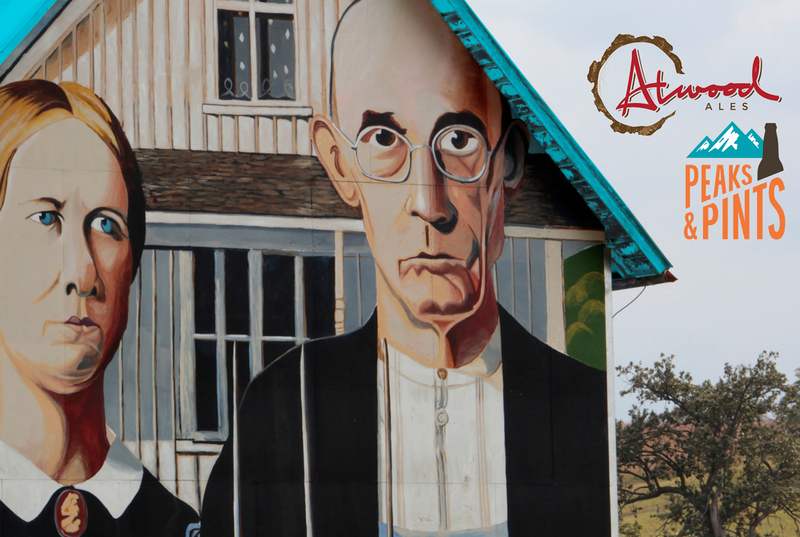 Located just 18 miles north of the burgeoning Bellingham brewery scene, on the outskirts of a scenic seaside town, is Blaine, Washington’s first, and oldest, brewery — Atwood Ales. The unique setting provided by a 100 year old farmhouse and barn and the surrounding acreage is not only visually compelling, but also provides countless opportunities to directly incorporate estate and locally grown agricultural and natural ingredients into Atwood’s small batch beers. It’s a family-operated farm and brewery. Josh brews the beer. Monica takes care of sales, marketing and distribution. Josh’s parents, Stephen and Leslee Smith, co-own the brewery, and Monica’s parents (Steve and Nancy) are involved as well. Thursday, Aug. 16 we’ll tap four saisons from Atwood Ales: Grange Farmhouse, Mo’s Saison with Honeysuckle, Basilic aux Fraises Saison brewed with basil and strawberries, and a saison brewed with pineapple sage from Spotted Owl Farm and thyme from the Atwood farm. Monica and Josh will be in the house! Need something effervescent that goes down easy in this heat? See you Thursday!